When Houzz featured our Baroque wallpaper, designed by Barbara Hulanicki, we were so impressed by the gorgeous full room concept they created. The room is sandwiched between our decadent patterned wallpaper and a vibrant statement carpet, with accents of teal sprinkled throughout. The perfect combination in our eyes! This is a look that is completely attainable for your very own home, so what’s stopping you? Our handy tips and Superfresco range make it a simple process, even for novices. Here’s our top tips for getting it right first time. 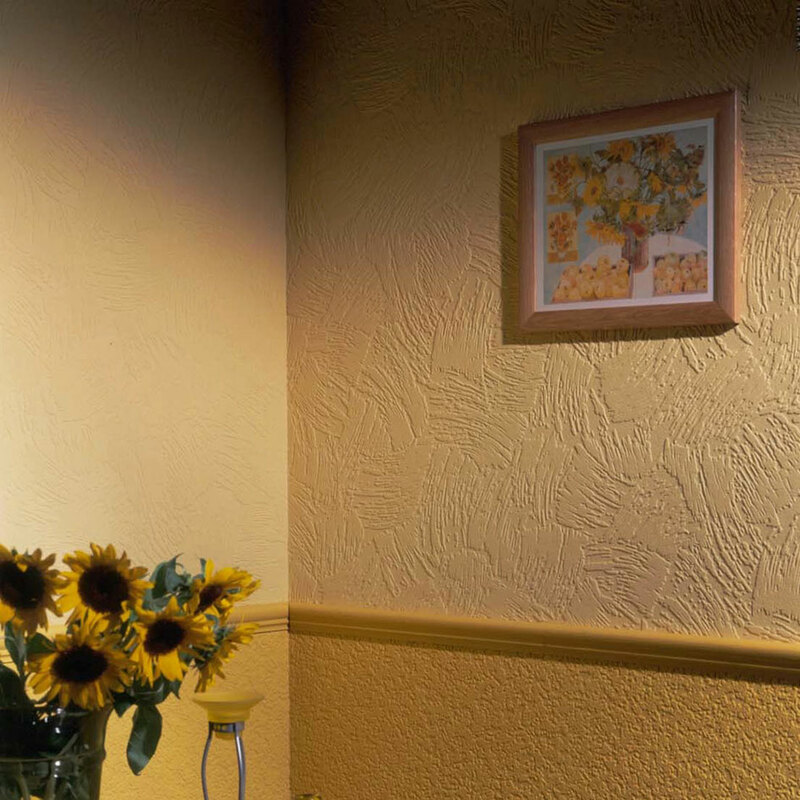 You’re going to be removing light fittings to make wallpapering around them much easier, so don’t forget to put your own safety first. Make sure you’ve got plenty of sandpaper at the ready. Ceilings can be notorious for uneven finishes, especially if you've had to revamp a textured plaster finish. Our Superfresco Easy range does help to hide any bumps you may have, but it’s still worth making the ceiling as smooth as you can. Mark out the width of each wallpaper drop, minus two inches for overlap. Use a light pencil outline to highlight where each section is to be applied. Now that you’ve got the basic tips down, here are a few stunning wallpaper designs that would perfectly adorn your ceiling to create a wonderful theme. 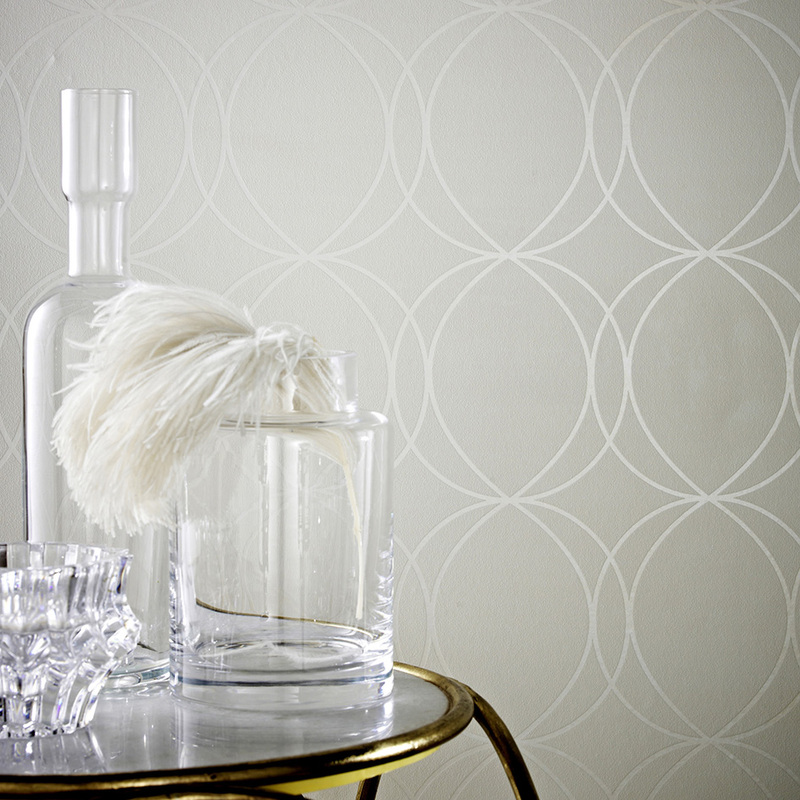 Our Deco Diamond wallpaper displays a gorgeous mint green pattern that evokes a sense of 1950s decor. This classic design is updated by the fresh colour that can easily be coordinated with fellow pastel shades. Much like the aforementioned Houzz concept, you could use this wallpaper to create a statement ceiling and pair it with neutral-toned walls. 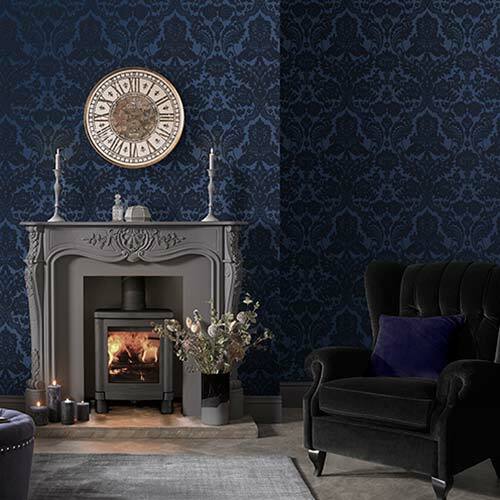 If you’re a fan of more traditional design, our Brush textured wallpaper could be the perfect option to recreate a retro look. 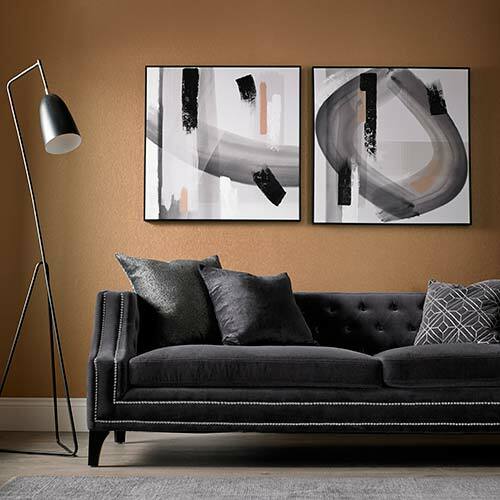 With sweeping motions that sashay across your wall, this design gives you the option of having a textured finish with minimal fuss. A textured ceiling doesn’t have to look old-fashioned. The beauty and ease of applying our wallpaper means you can create whatever look you want, without the time consuming chore of replastering your ceiling. Our Linen Texture Taupe Shimmer by Kelly Hoppen displays gorgeous, intricate texture that simply cannot be replicated with plaster or paint. Enveloping your room in a cosy blanket of fabric, this subtle wallpaper would look great on your ceiling and will create a soothing atmosphere. The radiant pearlescent wonder of our Savoy wallpaper makes it an excellent choice for revamping your ceiling. As you flick the switch on your lights, the rays travel across delicate interlinking mica circles. 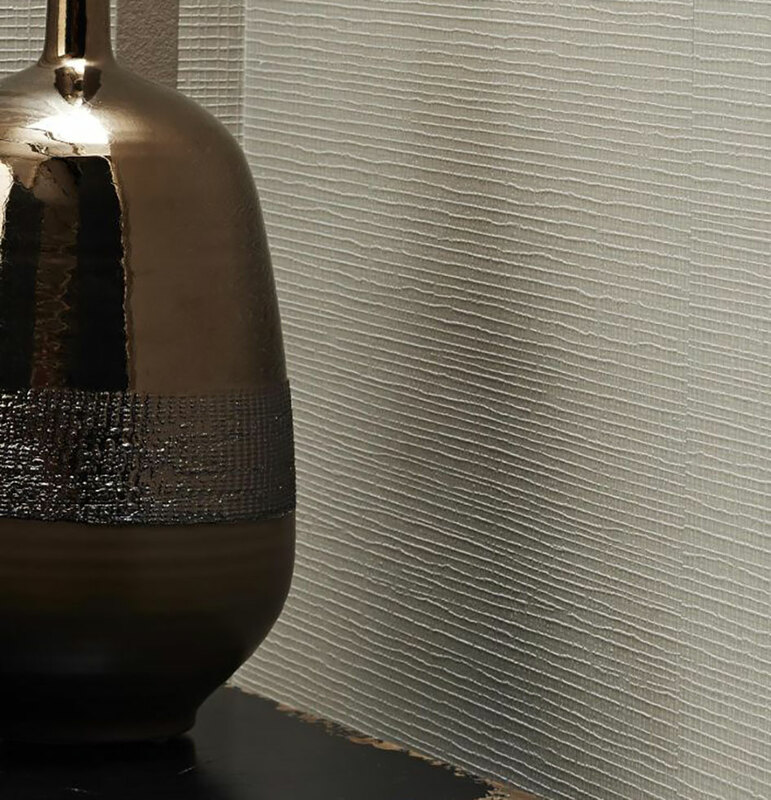 This extra illuminating touch creates the illusion that your room is much bigger, meaning this glistening mica wallpaper is great for small rooms. 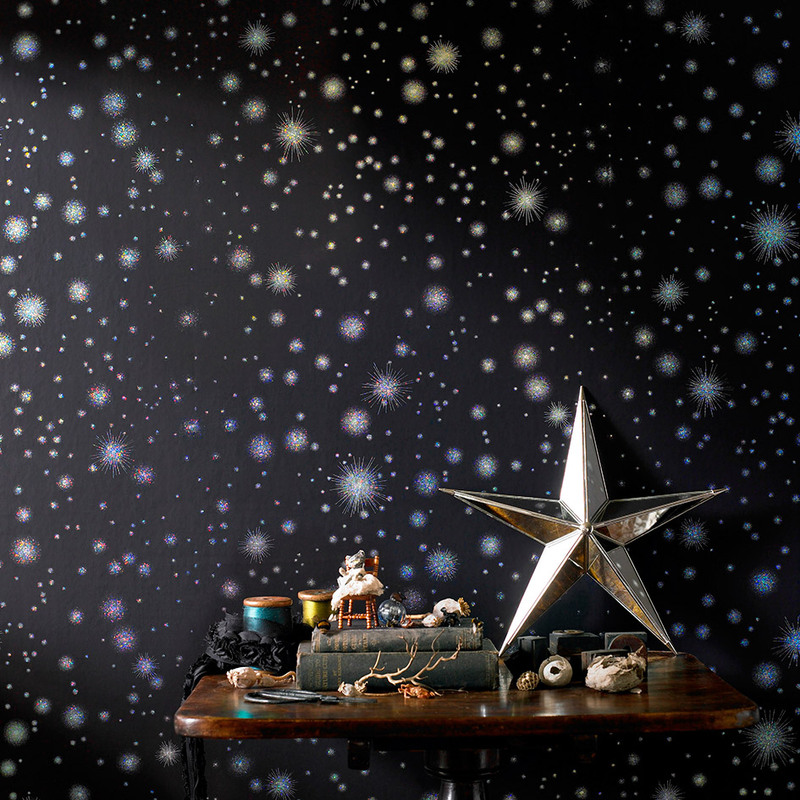 If you’re redesigning your children’s room or simply fancy a bit of magic for yourself, the cosmic patterns of our Stardust Midnight wallpaper create a look that is out of this world. 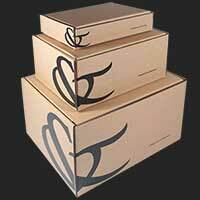 Each holographic star is embellished with foil for maximum shine and sparkle. Any aspiring astronomer will only have to glance up at the ceiling to feel like they’re at home. Go Back to Inspiration & Advice.